Boxy and sleek houses are so in right now. 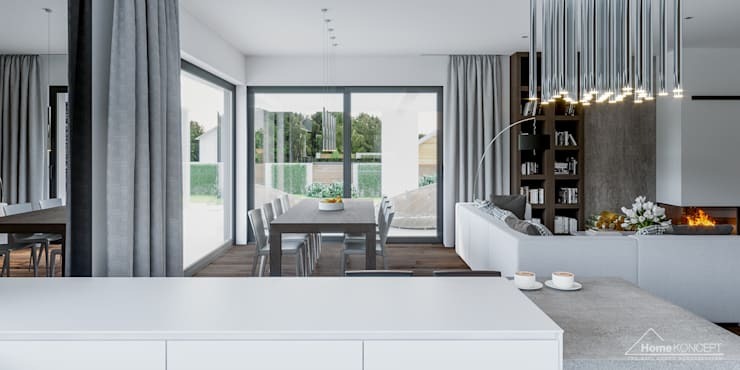 They basically belong in the modern category of houses which you should absolutely consider if you're on the hunt for designs. Here's one for example. 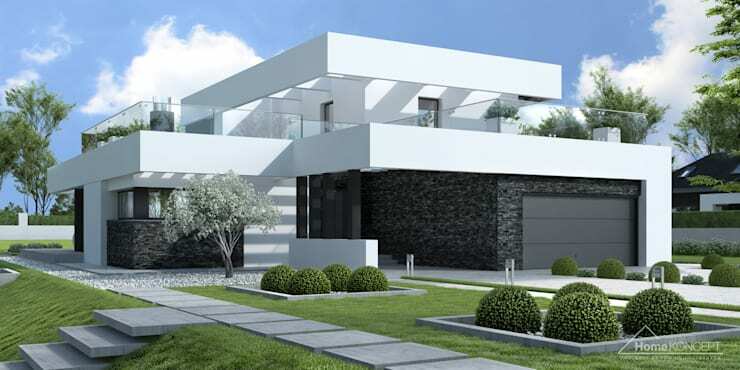 At 6.2 million pesos, the modern structure dazzles with its black and white exterior, flawless contemporary interior, and general sophistication. 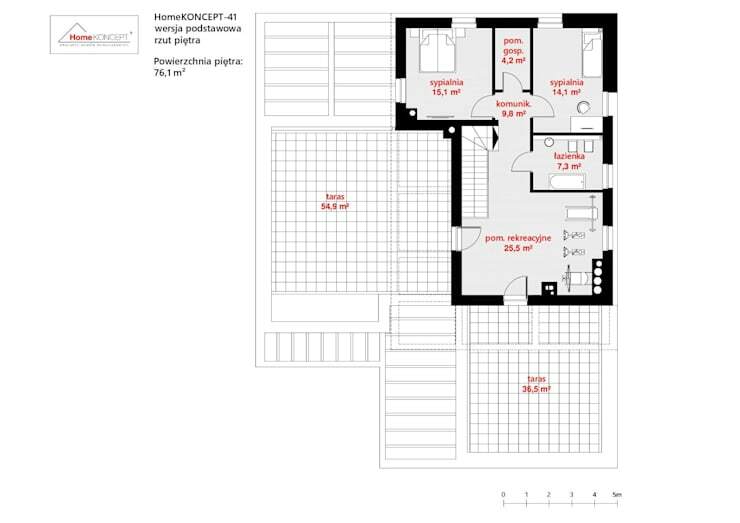 The house stands on 260 square meter-wide property. This building is composed of concrete, stone bricks, steel, and glass materials. The design of the front garden can also be copied. You can also seek the assistance of our garden professionals here at homify. Back at the structure, you will find a stylish and careful balance of modern and functionality just look at how mysterious the bottom entrance is with the dark stone brick wall but in contrast to that is the more revealing spacious balcony above. Composed of four bedrooms, three bathrooms, and a large terrace by the entrance outside, the home pretty much has got what you've been looking for. 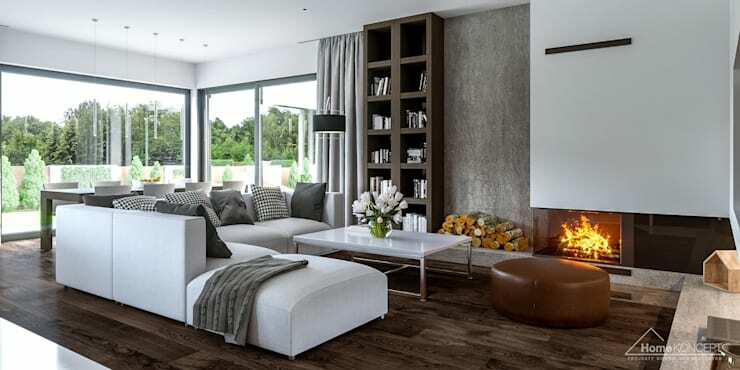 Let's focus at this living room that's adorned by a neutral gray to brown palette. We love the wooden vinyl floor and how it seamlessly connects everything together. And to brighten this area, the grandiose glass windows have got it covered. 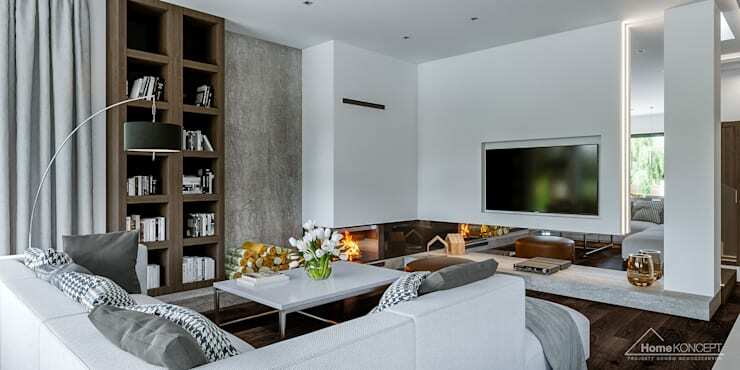 Here's an opposite view of the living room where you will find a sleek divider that holds the flatscreen television and a convenient mirror forming a reversed L. Because of this divider's elevated base, ornaments can be placed to enhance the room's appearance. Beside the living area is the dining table and chairs that are positioned strategically against an appetizing panorama of the outdoors. If that view is too harsh, you can simply drape the gray curtains over the windows. Convenient and chic! 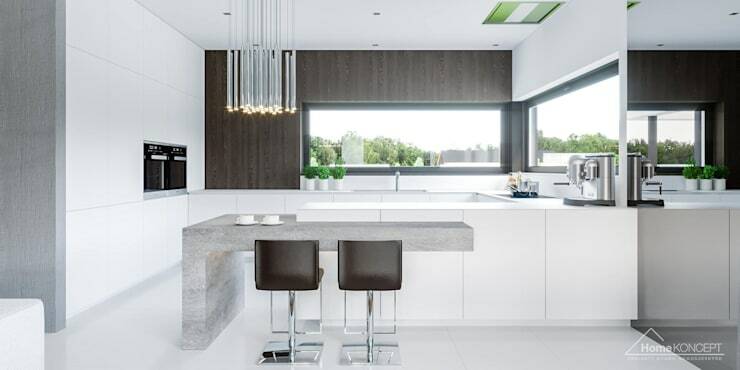 Opposite the dining area is the kitchen that's got its own small breakfast bar on a smooth attaching marble top. This area is also embellished by mesmerizing hanging lights. But that can be turned on only for special occasions because it's got no chance against the lovely natural light and view through those wide windows. 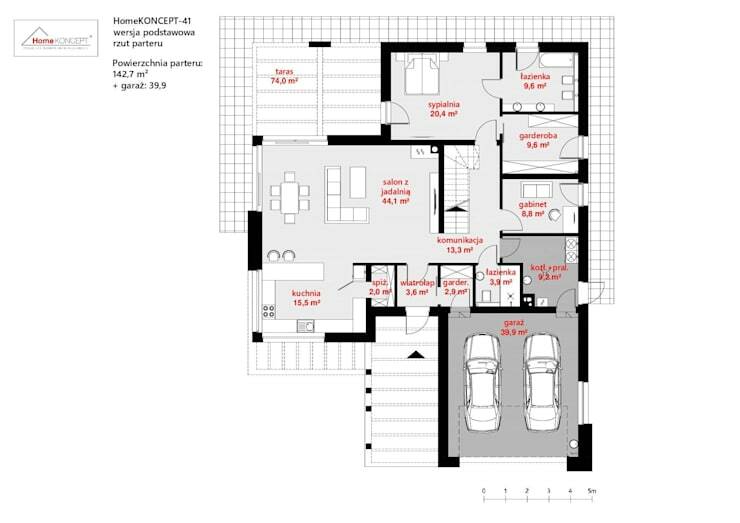 The ground floor comprises a bedroom, bathroom, dressing room, and the main hall which is separated into the living and dining areas. The kitchen is also found here. Outside, you will find the garage that houses two cars. The second floor is made up of two children's bedrooms, a bathroom, a dressing room, and an spare space that covers 25 square meters. With this set up, you can have an additional playroom, gym, office, or library. The two balconies on the other hand span 55 and 37 square meters, respectively.